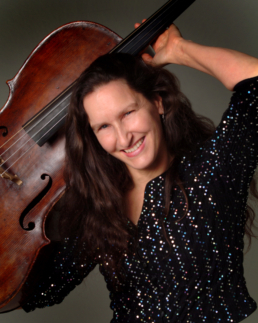 An international concert and recording artist, Nancy Green is an experienced and passionate teacher, and maintains an active teaching studio in Chapel Hill, North Carolina, US. After studies with world-renowned teachers (Leonard Rose, Jacqueline du Pré, Lynn Harrell, Mstislav Rostropovich) she became Professor of Violoncello at the Guildhall School of Music and Drama in London, one of the leading music colleges in Europe, and was a tenured Professor at the University of Arizona. She has taught privately for thirty-five years in the US, Britain and Germany. Ms. Green has former students from many countries around the world who have established themselves professionally as orchestral and chamber musicians, teachers, and soloists. She has worked with many students at the high school or undergraduate level who have pursued further study at top institutions, among them The Juilliard School, Moscow Conservatory, Royal College of Music in London, New England Conservatory, Oberlin, Eastman, Cleveland Institute, and Colburn. Nancy Green is a committed, enthusiastic, and caring teacher whose work is characterized by her love of music, cellistic expertise, enthusiasm, and genuine affection for her students.